Mackenta was one of our 3 finalists during our Stingray Rising Stars showcase in September 2018. Our winner, The Sorority was awarded with a $2,000 cash prize to create their next music video. Our runner-up Mackenta delivered an exceptional fusion of atmospheric hip-hop, moving vocals, and polished song writing. 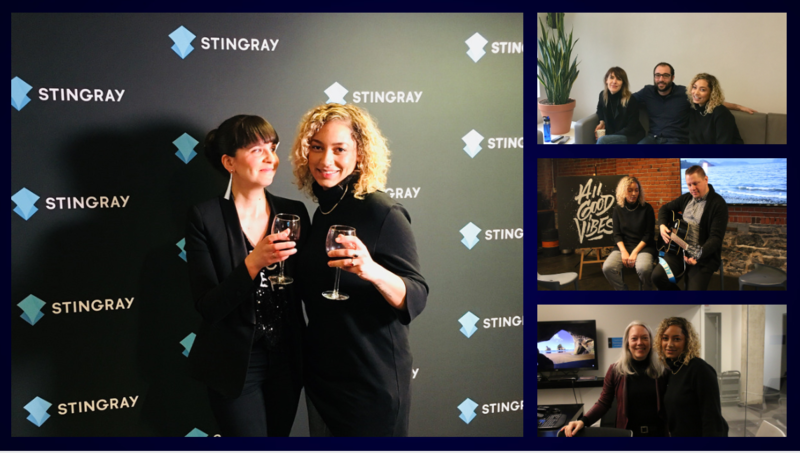 Stingray Music had the pleasure of offering Mackenta the opportunity to visit Stingray’s Montreal headquarters for a day of mentorship. She let us know what topics interest her and we made it happen. 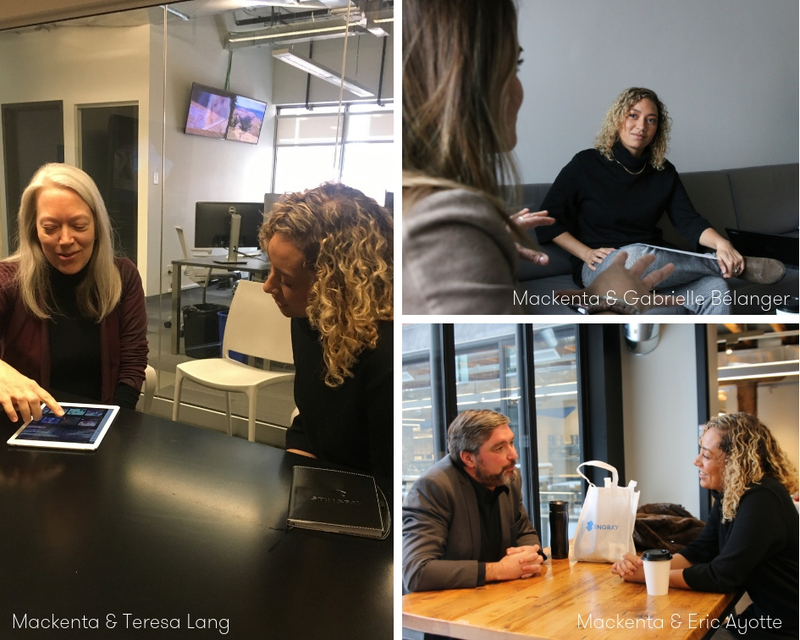 Mackenta met members of our legal, marketing, social media, video, and music programming teams who were delighted to contribute to the advancement of her career. Mackenta arrived in snowy Montreal on November 15th, courtesy of our partners VIA Rail. Bright and early the next morning, she met with Ariane Charbonneau, Sponsorships and Partnerships Manager. 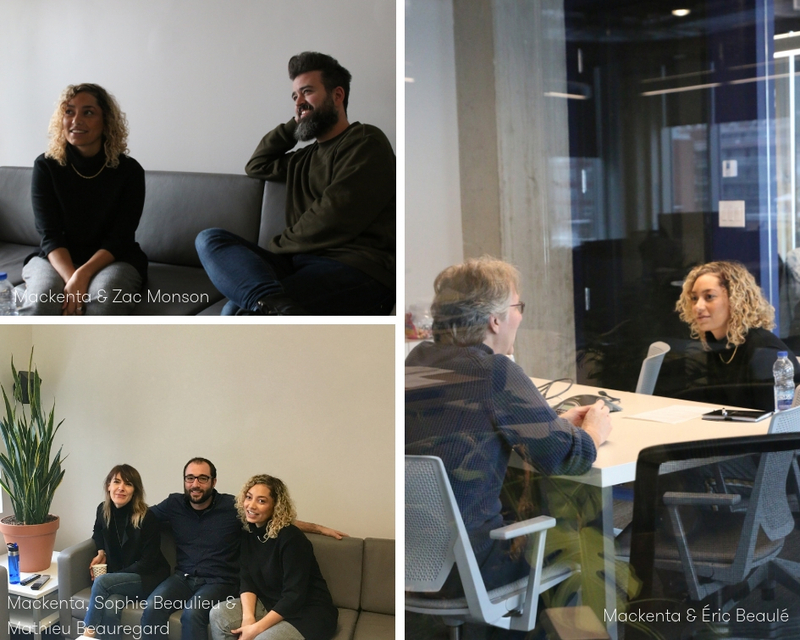 Mackenta’s first meeting took place over breakfast and coffee with Eric Ayotte, Manager, Music Partnerships, North America, to learn about the art of working with a publicist and/or a PR company. Eric’s past experience as a publicist was more than welcomed by the artist. Mackenta was then treated to a one-hour deep-dive into social and digital branding for artists with our Social Media Strategist Gabrielle Bélanger and Community Manager Lucille Kerysaouen. The ladies talked about best practices and went over the artists’ platforms to help her optimize her online presence. The day had just started! After a quick break, our karaoke queen, Teresa Lang, Product Manager, Stingray Karaoke met with Mackenta to brief her on the world of karaoke as well as Stingray’s vast array of karaoke products. Maybe we’ll get to sing along to one of her songs soon! Content Manager and Host & Producer of Stingray PausePlay, Zac Monson, talked about programming at Stingray Music and Stingray PausePlay. Mackenta and Zac talked about how programming works at Stingray, music production, interviewing best practices, and their shared passion for making music. All this learning opened everyone’s appetite! Lunch took place in Stingray’s cafeteria where Eric Boyko, President, Co-founder, and CEO and Mathieu Péloquin, Senior Vice-President, Marketing Communications had a quick meet and greet with the artist. Eric Beaulé, Production Manager & Programmer for Stingray Karaoke. kicked off the afternoon with Mackenta by talking about publishing and royalties. Together they looked at opportunities for independent artists to support themselves, covered streaming revenues, traditional radio, publishing deals, sync licenses for TV and film. Eric was impressed by Mackenta's talent, her eye for business, and her background (she almost had a career in law). Sophie Beaulieu, Programmer, Music Videos, and Mathieu Beauregard, Programming Manager Linear channels, discussed the process of music video programming at Stingray and related analytics. They also discussed why music videos are as important now as they’ve ever been, and how they play a significant part of today’s consumption of music. 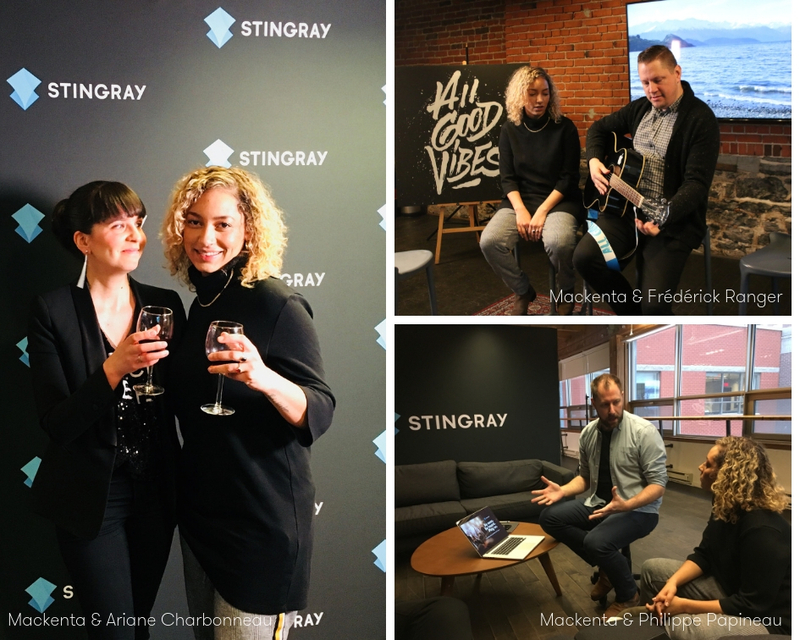 Mackenta got to know a little bit more about successful branding strategies and marketing campaigns thanks to Frédérick Ranger, Vice-President, Product Marketing, over a jam session in the Stingray Café. Product Marketing Specialist Philippe Papineau was the last one to share his knowledge with Mackenta over a well-deserved glass of red wine! Philippe concluded this full day of learning with an overview of the company and what we do. This enabled the artist to put all the pieces together and get a better perspective on what she had learned during the day. Mackenta is a talented and serious artist that understands that the music business is the intersection between a commercial art and entrepreneurship.